While much attention has been focused on the plight of hens and cows in factory farms, ducks are often overlooked - though some 30 million of them are raised for their meat and eggs in the U.S. every year. An undercover investigation at a duck factory farm in California gave an unprecedented look at the way many of these birds are raised. Conducted by the animal welfare group Mercy for Animals, the footage allegedly shows the inner workings of Reichardt Duck Farm in Petaluma, one of the country's largest duck facilities that houses over 200,000 birds. 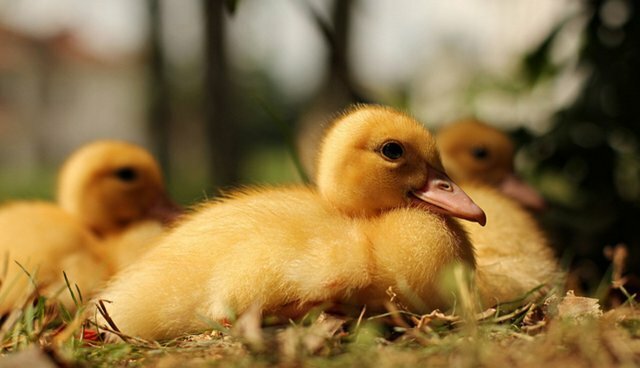 In the video, workers are seen burning the bills of ducklings with hot metal, while grown ducks are seen trapped in manure pits and left to die. Injured birds are killed by workers who wring their necks, while birds destined for meat production are killed by being dragged through an electrified water bath. "No responsible facility could allow such blatant animal cruelty and neglect," California-based veterinarian Dr. Armaiti May said in a statement. "Birds experience pain and suffering in a very similar way to humans and other mammals. The treatment of the ducks at this facility is completely unacceptable." After the video was shown to local law enforcement, officials visited the farm to investigate. Now, animal control officers are expected to complete reports on their finding. Mercy for Animals is urging officials to hold the owners of Reichardt Duck Farm criminally accountable for animal cruelty - though poultry animals are usually exempted from this type of federal protection (some states have begun to include farm animal under animal protection laws). One alleged violation that could lead to legal action is the lack of access to water for the ducks, which is legally required in California. While disturbing investigations like this one continue to happen, there are ways to report animal abuse at factory farms. Just this week, The Humane Society of the United States launched a new hotline for farm animal cruelty. The organization is offering up to $5,000 for information leading to the arrest and conviction of those who have committed acts of cruelty to farm animals. The hotline number is 1-888-209-7177.